Before starting to remove a stain from marble you must have a good idea of the chemical make-up of the stain. Unfortunately, there is no “catch-all” solution to stain removal. There are variety of stain treatment techniques involving solvents, bleaching agents, strong cleaning chemicals, poultices and other specialist chemical treatments. Some of these treatments will damage marble if they are used in the way. The last thing you want is to find your attempt at removing the stain has only damaged your marble and you still have an ugly mark! So we always recommend you call a marble cleaning specialist first before you attempt to treat any type of marble staining. In quite a lot of cases they can help you with home remedies that often work well. 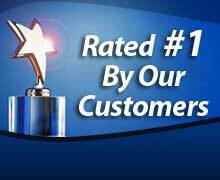 And if the staining needs professional attention they are the best people to help you. Has The Stain Etched The Marble? 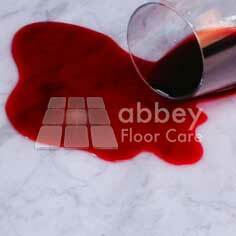 Before starting any stain treatment you need to understand the difference between a stain and an etch mark. Stains soak into the marble, sitting in the pores and voids on the surface of the marble, leaving a dark recognisable mark. Etching also causes dark marks that look like stains. However they are completely different. An etch mark is actually an area of damage, where an acid has dissolved the surface of the marble. Stain removal techniques will not remove an etch mark. Etches need to be buffed away using honing pads and polishing powders. These can reach very quickly, so even if you wipe them up immediately, they can still leave an etch mark! So the best course of action is to make sure not to spill them. Water spills need to be wiped up quickly, because if you leave them to dry out, the minerals in the water can react with the surface of the marble leaving an ugly mark. We have listed below common stain categories and the chances of removing them. Common organic stains include tea, coffee, fruit, food and urine. The make brown to yellow marks and usually disappear once the source of the stain has been treated. Common metal staining comes from iron, rust and copper. Iron stains are dark brown colour, whereas copper based stains can be brown or green. They often mirror the shape of the metal object e,g nails, screws, metal furniture, so it is easy to identify the cause of the stain. Deep-seated, metal stains are very difficult to remove and often remain a permanent stain. Ink stains come from pens, markers and computer cartridges. There is a good chance of removing them if the staining has not migrated deep into the surface of the stone. In that case they may be permanent. Tis kind of staining is usually caused by calcium deposits left after hard water spills evaporate. There is no problem removing these marks. Stones near open fire places can me ingrained with soot sand smoke staining. If the staining is not too old, then there is a good chance of success, however if the staining is old, e.g 50 years by an open fire, then the staining may have migrated deep into the stone and continue to migrate to the surface. Efflorescence is a white powder that appears on the surface of the stone. It is caused by damp mineral salts migrating through the stone and evaporating on the surface. On marble, this usually happens on new floors. It can be removed by brushing or vacuuming. 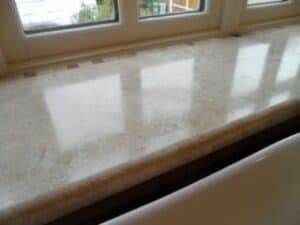 It is important to remove the powder on a daily basis as if it s left it will leave a permanent hard deposit that is mechanically attached to the stone. If the efflorescence persists, the you need to contact the installer to rectify the problem. If we can’t totally remove a stain by standard stain removal techniques, there is the option to grind off the surface of the stone, removing the stained material completely and then re-polishing it. If you have any stains on your marble, click here or call 0800 695 0180 for friendly help and advice.